Tony caught bait this morning then went to the marina to pick up his clients. He was quite surprised when a Limo Van pulled up and out popped these four guys. He thought to himself, "My God, I wonder who I have going out with me today". As it turns out Tim's wife Carla hired the Limo and bought the trip as a Fathers Day present for her husband and his friends. Great thought if they were going to drink on the boat today. Today's fishing was not as good as it has been lately, probably due to the full moon and cold front that came through yesterday. They only caught 40 to 50 Stripers. Never the less they had a ball and what a great way to celebrate Fathers Day. 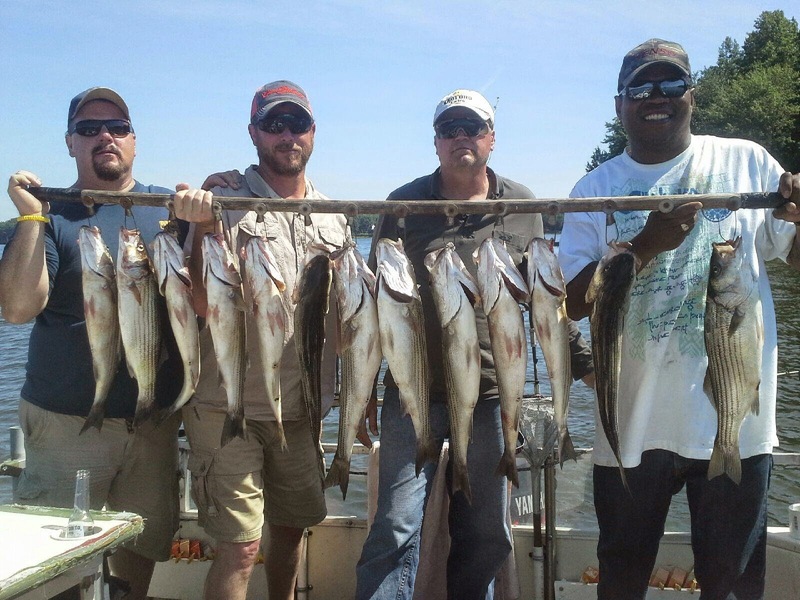 charter fishing for Stripers on Lake Anna. You won't regret it!